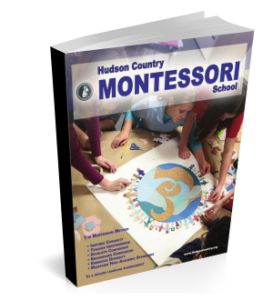 The need for children to have freedom of movement and the importance of physical exercise permeates life at Hudson Country Montessori. We believe movement is an essential component of “whole child” development. 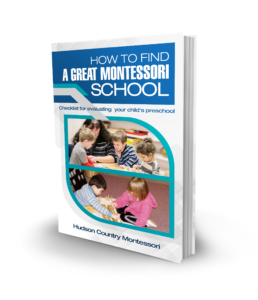 Core tenets of the Montessori method revolve around the much-studied link between childhood intellectual function and physical activity. Freedom of movement in the classroom is directly connected to self-motivated exploration and discovery. Through inquiry and action, our students practice “can do” consistently. Established exercise and physical education provide a healthy “break” from classroom work as well as an opportunity for our students to socialize. Such activities emphasize HCMS’s attention to personal development and consistent habits of wellness. The Physical Education (PE) program at Hudson focuses on practical life-long health supporting activity. We emphasize team work, good sportsmanship and the spirit of game, rather than competition. Games and activities work on physical development, especially fine and gross motor skills, and building or increasing physical stamina. We present a broad spectrum of physical activities within which every child is encouraged to participate. Classes are taught on-site, as well as in community arenas and sporting facilities at the upper levels. On-site instruction includes karate, kickball, baseball, and gymnastics. Fourth through Eighth Grade children utilize the Danbury Sport Dome and Danbury Ice Arena in addition to receiving on-site instruction. Buses transport our students and appropriate sporting equipment is provided. Date: All Tuesdays excluding Holidays. Please return the permission slip to the front office, or you can fax it to 203-748-3403.